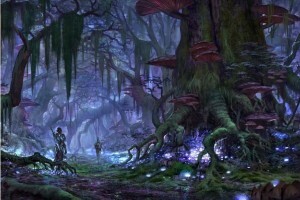 With each passing week, from The Elder Scrolls Online developers and videogame media are unveiling the new features coming to the dark fantasy massively multiplayer rpg. We scanned through the previews and spoilers to pick the 5 coolest features that we think will wow fans when the game servers open sometime this year – from the tri-alliance system that will dictate race choices to the PvP perks that include the title of Emperor. There will be three playable faction alliances in The Elder Scrolls Online: The Aldmeri Dominion, the Daggerfall Covenant and the Ebonheart Pact. Choosing one of the three factions will open up three playable races. Joining the Aldmeri Dominion, for example, lets you choose from the Altmer, Bosmer and Khajiit races when creating your character. Each of the alliance has its own back story, controlled provinces and goals for banding together. This increases the replay factor by a notch compared to other mmorpg games which often only have two playable factions. Plus, it is possible to gain the elder scrolls online gold through PvP making this feature a lot more interesting. It means end-game won’t be limited to raiding and amassing an Elder Scrolls Online gold fortune. Care to become the Emperor of your server? Other mmorpg games have dangled this prize before, but the fact that you have to earn it through sheer combat glory – the highest-ranking player of the alliance that captures the Imperial Throne – makes it a much sweeter prize as compared to, say, politicking-based titles earned in TERA. Gladiator kings will rule in The Elder Scrolls Online, and we relish the thought of seeing Emperor aspirants fighting for their factions at all costs. Unlike PvE equipment, PvP equipment will most likely not be purchasable using ESO gold, but instead will require players to earn a specific PvP currency. We have lost count of the number of times we have rolled as a Mage, Warrior or any of the other overused class names in mmorpg land. The Elder Scrolls Online class though has us piqued with its dragonknights, templars, sorcerer, and nightblades. And if developers are to be believed, their abilities will be equally interesting as well because of another cool feature: The Synergy Skill System. The Elder Scrolls Online will make use of Synergy skills to make co-op play fun and interesting. Basically, players will be able to use Synergy skills to combine with other players’ normal skills to produce more powerful effects. Game designer Maria Aliprando has famously given a past example of a mage-type class casting a fire, which then allows a warrior-type sword wielder to start throwing fireballs at the enemies. Some Synergy skills have also been said to convert simple buffs into deadly area-of-effect attacks, which we imagine will expand combat beyond the usual “Spam X skill to win” tactics. As of now there are no news on if synergies also extend to trade skills. Now that would be an interesting idea, make trade skills group activities. This would earning gold in Elder Scrolls Online either a lot harder or, if people really dig it – no pun intended – a lot easier. Lots of things from past titles will make it into ESO. There’s the currency: It’ll be TESO Gold (which our readers will probably find useful to know at this point in time). 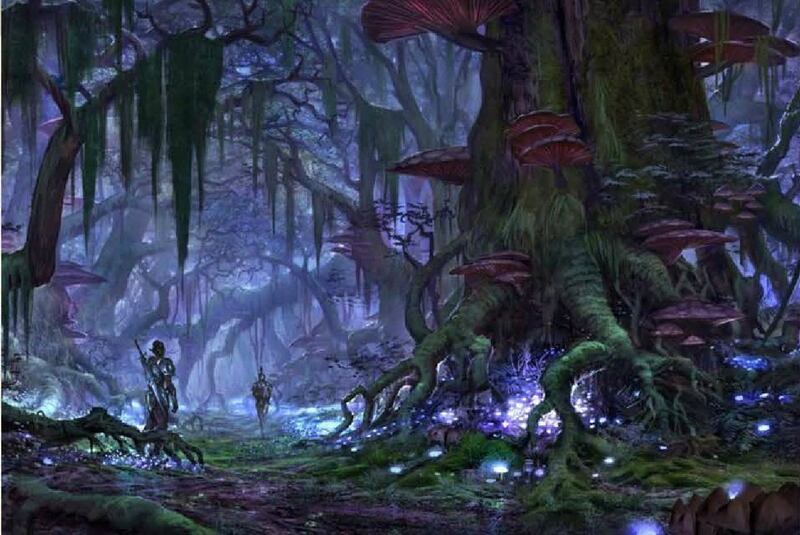 Moreover it’s actually the entire same world in which the previous Elder Scrolls games take place. In terms of the timeline, the online game is set a millennium before the events of Skyrim, the fifth and latest console title for the franchise. While the time gap is huge, developers have said that many creatures that have appeared in previous games will make an appearance in The Elder Scrolls Online, including the crocodile-headed Daedroth, goblin-trained War Durzogs, and the domesticated Guars. Series veterans will no doubt look out how these classic creatures will be fleshed out in a persistent virtual world.